Presented by Jennifer Tham, Co-Coordinator, Asia Pacific Working Committee and IFCM Board Member. 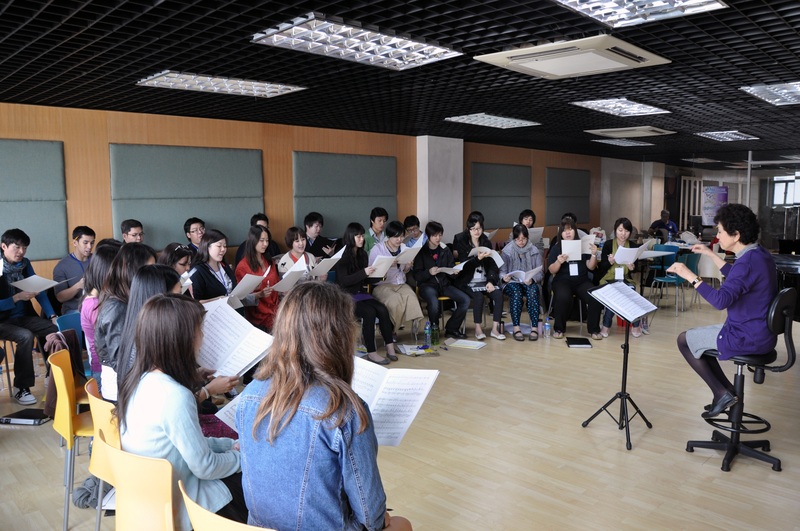 In February this year, the Asia Pacific Youth Choir – modeled on the World Youth Choir – made its debut in Macau. Thirty-one singers from nine nations met in an intensive 3-day rehearsal camp, musically molded by the wonderfully capable hands of Saeko Hasegawa (Japan) and Jonathan Velasco (Philippines), and filled the Macau Cathedral with sacred music of the Western tradition, music of Japan and of the Philippines. Through choral music, the APYC became an instrument of peace and international understanding, witnessed by all who came and heard, including the twenty-eight delegates at the concurrent Asia Pacific Choral Summit. 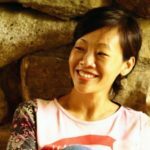 This journey of hope is beautifully relayed in the words of two of the singers from Singapore, below. The choir’s first sound was an astonishing one, spilling over with an organic fervour that told of 31 very different stories and backgrounds. It was our first rehearsal at the Macau Choral Art Association (MCAA), and we were all raring to go with a raw desire to make music in the first-ever Asia Pacific Youth Choir (APYC). We were singers from nine different countries in the region, knowing very little about each other, yet all equally eager to just sing. Not long after, we came to also believe. Over the days, our sound subtly evolved into one that told of the same youthful strength and enthusiasm, but this time, also of a single, shared story — one that told of our understanding in the sheer power of musical and human expression. We never really felt like strangers. Perhaps it was the deep-seated passion in everyone that sped up the choir’s bonding process. There was a common drive to explore music with the people around us; it seemed to be innate, we simply fed off each other’s enthusiasm and energy. We represented our home countries with pride by earnestly giving what we each had as musicians, and we loved music enough to respect and listen to what each other had to give. 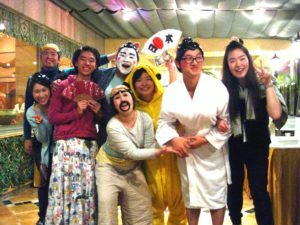 The choir had three days to brew the musical enchantments, and Jojo and Saeko-sensei, as we affectionately call them, were our Shamans. From their Magic Book of Scores, they whipped out eighteen songs of various vocal and choral approaches and traditions. From Palestrina to Pamintuan, we explored a rich tapestry of sacred music, and had the honor of premiering the beautiful Libera Me, written by John August Pamintuan for the APYC. We also sang a range of Japanese and Filipino folklore and pop choral music. Each song came with a different set of challenges, testing us musically and technically. The breadth of repertoire demanded flexibility from the musicians, and it took us a while to develop a common sense of pulse for each song. In a choir full of capable and experienced young singers new to each other, we needed to be team players, to listen more than we sang. Jojo and Saeko-sensei were tremendously helpful and encouraging, willingly sharing their experiences as conductors and singers, inspiring us with their rehearsal technique and musical sensibilities, becoming one with us in artistic unity. We were an amalgam of tone colours, schools of thought, and choral traditions, making it an incredible musical experience for everyone. Each member was willing to both share and receive in this unique form of intercultural exchange. During rehearsals, members would chip in with musical ideas and choral practices from their home countries, and help facilitate portions of the rehearsals (for example, warm-ups and small group singing). Throughout the course of APYC session, much intercultural dialogue came from sharing vocal and rehearsal and choral repertoire. There was a flowering of debates and discussions on choir cultures and choral scenes around the region. We shared, listened, questioned, praised, lamented and brainstormed for hours, for solutions to the challenges of maintaining a healthy choral life and practice. These little exchanges, each one so precious and rich, unveiled numerous possibilities and perspectives that would otherwise remain unknown to many of us. Through musical and cultural conversation, personal relationships evolved naturally, in both “work” and play. Language was a barrier at first, but after a while, it seemed enough for all of us to be able to converse in the common language of music. In the end, we even picked up a little of each other’s language. Outside of rehearsals, we would perform for each other, sometimes purely for the sake of cultural exchange, other times in playful jest, always with good will. The rapport was so immense we would break into song along the streets of Macau, gleefully oblivious to curious stares. You could barely tell we had only spent a few days together. We knew we would suffer from a serious bout of withdrawal symptoms once the APYC session ended — we’d already developed strong relationships with the music and with the people we made this music with. Macau is a beautiful place, which made it even more of an honor to sing in. We were in the charming Macau Cathedral, surrounded by magnificently-stained glass panels and wooden pews, almost shivering at the reverberation of our voices. We were in the company of friends and musicians, young and old, basking in the spontaneous joy that is music-making, singing songs about faith, prayer, fireflies and castles in the sky. We lost ourselves in the songs, and nothing else mattered but the music, and being able to make music with these precious people. The commitment from everyone was so great it was nearly tangible; you could almost reach out and grab it with your hands. We stood there firmly, proud to be members of the APYC, grateful to organizers and supporters of the cause. It was mind-boggling to have been a part of an unprecedented celebration — one of fellowship, of youthful hope, of the Asia-Pacific sound, and of the marvelous music that continues to transcend so many boundaries and enrapture us all. We now understand the communal nature of choral singing more than ever — music is an enjoyment that is most delightful when shared, and our voices can be instruments of peace. We can be pretty powerful. We are just your regular young musicians – ordinary youths who love singing and the joy that it can bring. And sometimes, ordinary people can do extraordinary things (especially when we come together to make music). Not perfect, just extraordinary. 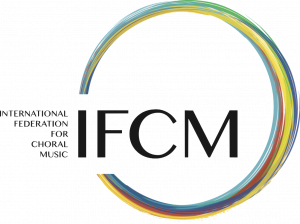 We would like to thank Mr Jonathan Velasco, Ms Saeko Hasegawa, Ms Emily Kuo, Ms Jennifer Tham, Mr Yoshihiro Egawa, the International Federation for Choral Music, the Asia Pacific Working Committee, as well as the Macau Choral Art Association for believing in music and us. The members of APYC are now lifelong friends, constantly keeping in touch and updating each other on both our personal and professional lives, helping each other along the way. It has left an indelible mark on each of us, polishing and enhancing our expertise (knowledge, sensitivity and skills) with different forms of music, learning from each others’ cultures and practices, giving the youth a voice. We have brought these unique experiences with us back home, spreading the joy amongst fellow singers, musicians and choirs, hoping to aid them in the development of new approaches towards the practice of choral music. On top of that, some of our students have even expressed an excitement and deep interest towards future APYC projects and the prospect of narrowing intercultural gaps through music-making. The APYC experience has added another dimension to cultural exchange and internationalization. How wonderful would it be if we had the chance to share this with even more people around the region! The human and social dimensions of the world we live in today are so diverse — perhaps the world has been trying too hard to bridge socio-political and intercultural differences on the macro level, when all that’s needed is greater connection and understanding on the individual level, especially among the youth of today. Disparate elements can be brought together into a cohesive ensemble by a common enthusiasm for singing and a collective sense of wonder for the music that we discover. For the human voice, when used responsibly, is more powerful than we think. Perhaps all we really need to do is to sing, to build a better world of love, hope and joy. Next Post: CONNECTION or PERFECTION: Can we have both?